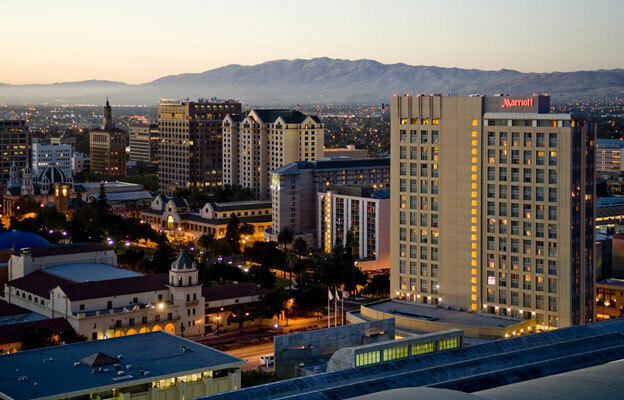 To book your room(s) at the San Jose Marriott hotel online, CLICK HERE. You do not need to enter a group code as the form will pre-populate. To make your reservations by phone, call the reservation desk at +1-877-901-6632 and request the DATAVERSITY group rate. Subject to availability. If you have any difficulty booking a room at the San Jose Marriott, please call us at +1-310-337-2616 or email us, and we will do our best to help. Valet Parking Only with in and out privileges - $7.00 USD per hour / Max $29.00 USD.